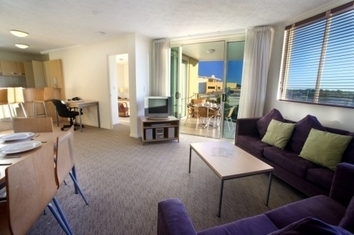 Caloundra Central Apartment Hotel is a modern 4.5 STAR apartment-style resort which has versatile style accommodation ranging from motel style rooms to Studio (no balconies), 1, 2 and 3 bedroom spacious modern apartments with large entertainer balconies. The Apartments overlook the Pacific Ocean and shipping lanes, lush tropical gardens, lap and relaxation pools, heated spa and large barbeque area. The resort has an Award Winning Thai Restaurant and Bar offering authentic Asian cuisine. The Resort is close to Currimundi, King and Dicky beaches,restaurants, cafes and shops. Our on site restaurant Euro cafe & Bar is opening very soon. Euro Cafe & Bar serves European Cuisine and is open late Wednesday to Sunday. Modern Spacious self contained apartment with ocean or pool views, Internet, 2 pools, spa, BBQ area, non serviced apartments. Complimentary Undercover Parking. TV, DVD, Austar. Modern Spacious self contained apartment with ocean or pool views, TV, DVD, Austar, Internet, 2 pools, spa, BBQ area, non serviced apartments. Complimentary Undercover Parking. Max 4 people. Modern, spacious self contained apartment with views of pool or ocean from balcony. TV, DVD, Austar, Internet. Resort has 2 pools and Outside heated spa, BBQ area. Complimentrary Undercover parking. Motel Style Room with Ensuite. NO Views or balcony, DVD, austar, Internet. Resort has 2 pools and Outside heated spa, BBQ area. Complimentrary Undercover parking. Modern spacious Studio with ensuite bathroom. Max 2 people. Cable TV, microwave and tea and coffee making facilities. Complimentary Parking. No balcony or views. 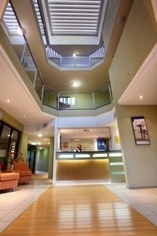 Caloundra Central Apartments is situated on the Corner of Nicklin Way & 36 Browning Boulevarde in Caloundra. Caloundra Central Apartments is located on the doorstep of choice when it comes to finding Caloundra's perfect beach for you. Choose from Dicky's, Currimundi, Moffat, Kings or the Pumicestone Passage Beaches. Alternatively, experience the fabulous lifestyle of the Sunshine Coast with Caloundra Central Apartments easy access to all of the wonderful attractions and natural beauty. www.australiazoo.com.au - World Famous Australia Zoo... Where Crocs Rule! www.bigkart.com.au - Challenge yourself or your mates to a few rounds on the coast's fastest track! www.laserzone.com.au - This activity is not just for the kids - If you can walk you can play.